Just a note: I&apos;ve moved to @jbond This account at .cloud is a backup. @SistahRobot The comment was prompted by http://www.antipope.org/charlie/blog-static/2017/09/bread-and-circuses-circumlunar.html and the comments. Space is big and hostile. The gravity well is deep. Presumably Musk has got people who have run the numbers. But some of the more grandiose plans, all the way to the Mars trip, feel somewhat disconnected from actual reality. We just had an event that felt like the Fail Whale. 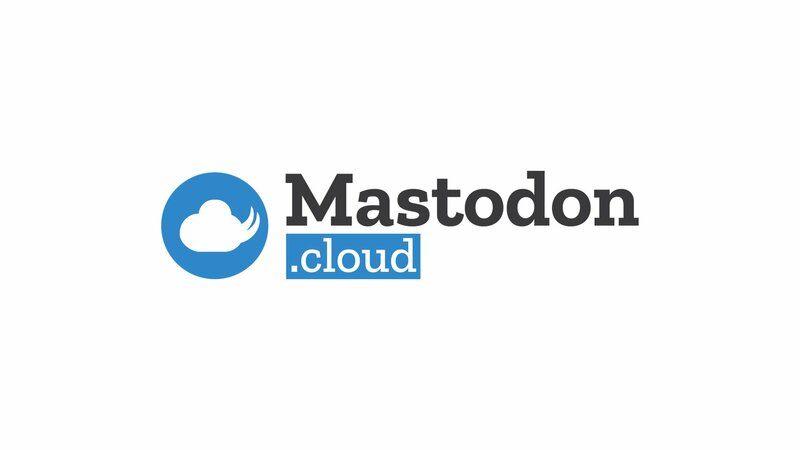 Mastodon.cloud went down and my backup .social was down as well. The federation kept going, but my experience didn&apos;t until I managed to start another account. - How many backup accounts do you need? - Can you automate keeping their follow-block-mute lists in sync? - Which instance is best for virtually 100% up time with 24-7 sysadmin cover? - How do people feel about being followed 3 times by the same person? When does Elon Musk over-reach himself or get found out? @gcupc I have a copy at home and re-read it recently. It holds up pretty well. Still promising myself to re-read "The Sheep Look Up". The leader of the party is destroying the country&apos;s future for the sake of keeping a couple of dozen eurosceptic MPs quiet, whose betrayal could bring the party down. Making Brexit official policy when they personally voted Remain and campaigned for Remain before the referendum. Just like May, Corbyn really should consider what&apos;s best for the country, not what will get him power. The two most over-used words in movie and TV dialogue. Need some inspiration for the Friday Night Cocktail. Anyone? Perhaps I should open the Savoy Cocktail book at a random page and stick a pin in. Risky! @viciousviscosity What time is Love? When is the Last Train to Transcentral? Why is 3am eternal? What&apos;s in the White Room? Can I sit by The JAMs or do I have to Stand? Would we have got away with it if those pesky kids hadn&apos;t got involved? What&apos;s happened at the old mine? What kind of trouble at the mill? Brexit again. Today&apos;s response to the petition for a referendum once the terms of leaving are known is a fine example of Vogon poetry. One of those stories that make you go WTF? 5 days after Maria hit, the White House had no plan for Puerto Rico. None. Zilch. Nothing. Nada. @wrenpile I had an idea that Trump also had properties and tourist developments in the Keys. But I can&apos;t seem to find them now. @natecull Whenever somebody starts talking about "One World Government" I point them at India and China, S and E Asia. Because when they say one world, what they really mean is USA. And 4.5b people are hard to ignore. what's it called when an entire species has a variation of imposter syndrome where every individual member thinks they're one of a small group of outsiders but in actuality they're all part of the same group of social animals needing social interaction who all feel like that? @SistahRobot Nah. That&apos;s Cherry Brandy.